According to Deadline, Rowan Blanchard is joining TNT’s forthcoming series based on the film Snowpiercer. 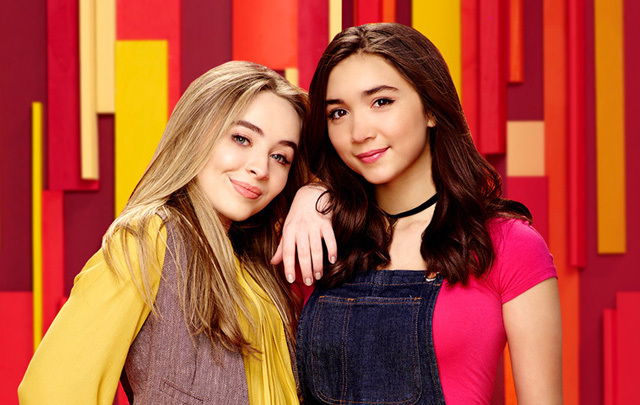 Blanchard is best known for her work in the Disney Channel’s Girl Meets World, in which she played Riley Matthews, daughter of Boy Meets World protagonist Cory Matthews (Ben Savage) and Topanga Lawrence (Danielle Fishel). She also has a small recurring role on the Jenna Fischer-led ABC sitcom Splitting Up Together. TNT’s new Snowpiercer series will return fans of Bong Joon-ho’s 2013 film, which is in turn based off of the 1983 French graphic novel Le Transperceneige. It will imagine a desolate future where the Earth has become a nearly-uninhabitable tundra and much of the human population has been relegated to a perpetually-moving locomotive. While the film starred Chris Evans (Captain America: The First Avenger), Tilda Swinton (The Grand Budapest Hotel), John Hurt (Alien) and Ed Harris (The Truman Show); the series will star Jennifer Connelly (Labyrinth, Hulk), Daveed Diggs (Blindspotting, Hamilton) and Mickey Sumner (Frances Ha, American Made). They will be joined by Susan Park, Benjamin Haigh, Sasha Frolova, Katie McGuinness, Sam Otto, Alison Wright, Annalise Basso, Sheila Vand, Roberto Urbina and Lena Hall. Blanchard will play a teenager named Alexandra in a guest role with potential to join the cast in a more constant way is the first season is successful. Doctor Strange director Scott Derrickson is set to co-direct the first episode of Snowpiercer with James Hawes, who previously worked on TNT’s The Alienist with Wonder Woman director Patty Jenkins. Snowpiercer director Bong Joon-ho—also known for Okja and The Host (2006)—will return to the franchise in an executive producer capacity, as will Chan-wook Park (Oldboy, The Handmaiden).